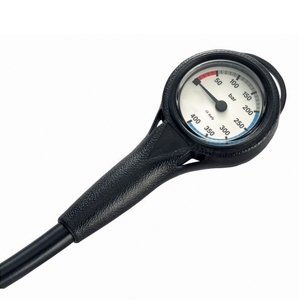 MINI SINGLE GAUGE CONSOLE / Mini Single Gauge Console - 32"
MINI HIGH-PRESSURE GAUGE, BOOT AND HOSE. AVAILABLE IN THREE VERSIONS. AVAILABLE WITH 32" OR 6" HP HOSE. 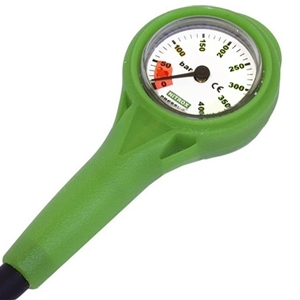 Same as the standard version but oxygen compatible and with a green plastic boot. Must be oxygen cleaned before use.